Welcome to Forecast! 🙌 If you're reading this article, you probably just signed up for Forecast or maybe just need a little help to get started. This article focuses on how we can get you and your team going as quickly as possible. Here, we only focus on what's important for you. First of all, we want to let you know, you're in good hands. The page you see right now is our Help Center. Here, you can find information, guides and setup instructions for most of our features and use-cases. We try to combine easy-to-read guides for our platform with best practices within the Project & Resource Management industry. If you can't find the answer you're seeking, we also have our Success Team ready to lend you a hand through our Live Chat. The Live Chat is found in the lower right-hand corner. Then, if you're seeking a more educational and visual approach, we have Personal Demo Meetings on request. We have Weekly Webinars on Scheduling and Predictable Projects teaching best practices, and our Daily Coffee Breaks where you'll again meet our Success Team for a short casual talk over a cup of coffee. Lastly, we have our Videos to help guide you, and help articles here in the Help Center. First, to give you a basic understanding of Forecast, we have a few terms we'd like to introduce you to. When you first enter Forecast, you'll meet our interactive Product Tour of the most important features. We refer to this tour to give you a first-hand experience with the platform, but in daily life the first page you'll see is your Upcoming Work. You can think of Upcoming Work as your personal to-do list. Tasks can contain a lot of information, e.g. description, comments, files, to-dos / subtasks, labels, assigned team members, time reported on it, start date, deadline, and an estimation of time it'll take to finish. Tasks live in Columns, and Columns live in the Workflow in each of your Projects. Workflow is your ongoing board (i.e. Kanban board) of cards in the project's Scope or Sprint. Scoping is where you setup the Statement of Work (SOW) of your project. You create Milestones, and create Tasks in each Milestone. Milestones have a name, start- and end date. When you do your Scoping in Forecast, we ask for the Title of the Task, the main Role of the Task (e.g. Software Developer), and a Low- and High Estimate of time it takes to complete the work. Based on your estimates, the selected role and labels, previous data from your organization and our data pool; we provide you with a Forecast of time. In other words, a more precise time estimate. Additionally, if you have already set up a Rate Card for the project, you'll also see an automatically calculated Price of the task based on the forecasted time estimate. This goes straight into the Project Budget. If you're following the Agile with Scrum project management methodology, and have activated it for your project, you'll have an extra tab in your project sidebar menu. Namely, the Sprints tab. Sprints is where you breakdown your Scope into smaller, more manageable chunks. Often the length of a Sprint is 14 days, but this can vary. Read more about Agile with Scrum and Sprints. Here, you move tasks from the Backlog to your planned Sprints. The Backlog is fed from your Scoping, and you can prioritize the tasks simply by dragging them up or down. In your project menu, you'll see other tabs like Timeline, i.e. your interactive Gantt chart. You'll see the automated Budget, the Team, and the Client and Rate Card selected for the project. At the top of Forecast, you'll find the main menu. Projects, Time, Scheduling and Insights. Projects is your portfolio of projects. Time is your time registrations, and for Managers and above also your team's registrations. Scheduling is the dedicated area for Project Allocations and Assigning people to Tasks. The last, Insights is where you find all of your real-time insight reports. The logo at the top left takes you to your personal Upcoming Work. At the top right, you find three global elements. Your personal menu, named after you, the universal Create button, and the Timer. 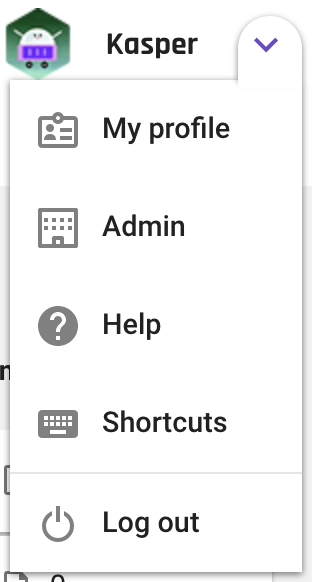 Your personal menu takes you to My Profile, which is the settings panel for everything about your personal account in Forecast, while the Admin area is everything about the organization altogether. You also find easy access to the Help Center, and keyboard Shortcuts if you're into that. It's also here you can Log out if you need. The Create button lets you create new projects, cards, insights, etc., and the Timer lets you start a stopwatch and easily report the time on a task afterwards. The Timer is also synchronized between both the Web App and Mobile Apps. Start a timer on your laptop, and report it on your phone. Now, that you hopefully have the basic understanding of Forecast in place; we can continue with the fun part - getting you set up. Let's get right to it. Settings in Forecast is divided into two parts. My Profile and Admin. My Profile is your personal settings, incl. name, email, picture, password, language, default working hours, role, skills, and information about personal integrations, e.g. the Calendar integration. Admin is the global organizational settings. 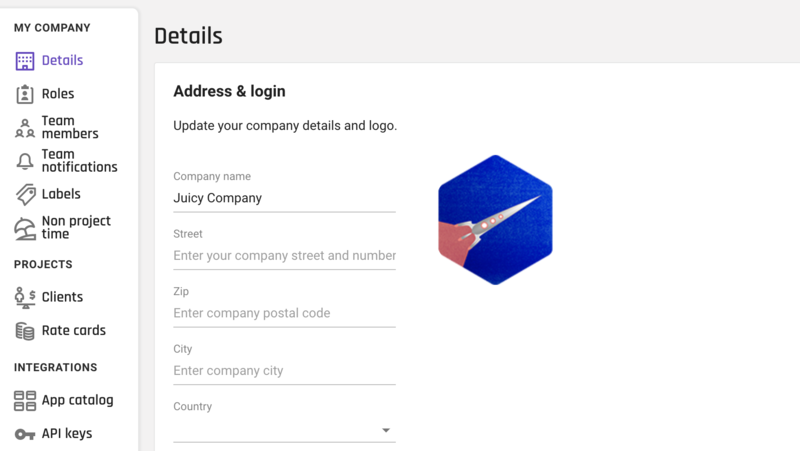 Name, logo, address, VAT number, currency, default working hours, timezone, contact person, team members and permission levels, clients, rate cards, non-project time, team notifications, available integrations, etc. This area is of course only accessible to users with the Admin permission level. The first thing you want to do in Forecast is to setup Admin. 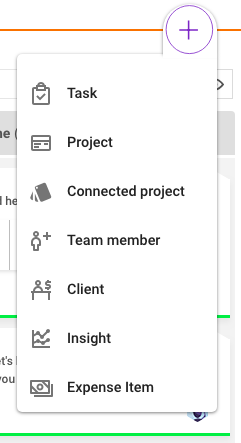 Go through the side menu from top to bottom, and make sure you add all of your roles, team members, clients, rate cards and other needed information. Remember to also assign the roles to team members. Roles, team members, rate cards, and clients are all connected for proper estimations and budgets. If you need help with any of them, we have articles on each section in the Help Center. Next step, is to update your My Profile in your personal menu. For the best experience, make sure your team members do the same for their accounts. Filling out Skills for instance, is used both in Scheduling for finding the right people, and by our estimation algorithms to give you the best possible forecasted estimate. A project is a collaborative environment. An environment to plan, execute and evaluate your progress. 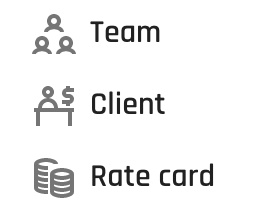 You can add team members to the project, select a client and assign a rate card. The first step is to select a Client and a Rate Card for your project. Go to respectively the Client and Rate Card tabs in the project menu. Enter the necessary information. Next up is to add your team to the project. Likewise, this is done through the Team tab in the project menu. Add all the team members working on the project, and you're ready to get started. Next step is to begin Scoping. Create milestones, create cards within milestones, select the main role needed for the card, and estimate the time it'll take. Our AI engine will provide you with a Forecast and Price for each card. To add more information to a card, you simply click the item. Once you're done entering data, approve each card manually or all of them at the right. 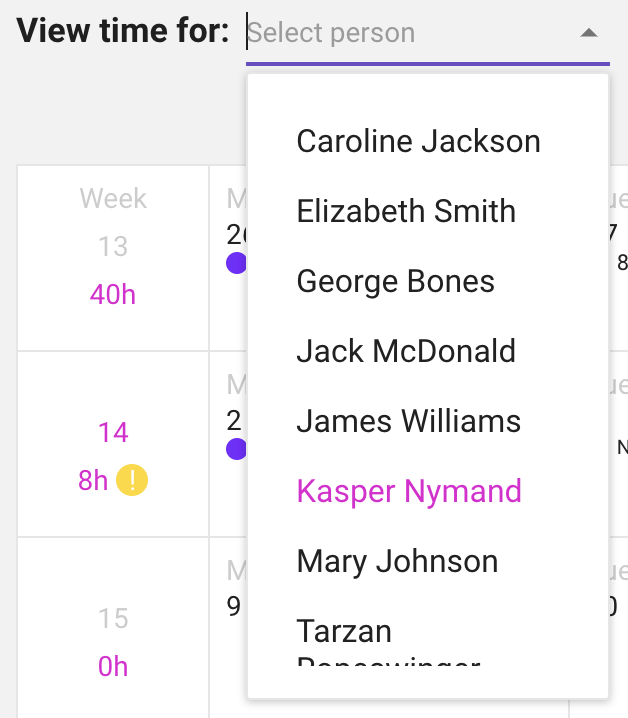 As soon as you approve them, they'll either show up directly in the to-do column in Workflow, or if you've activated Sprints they'll go to the Sprints tab. 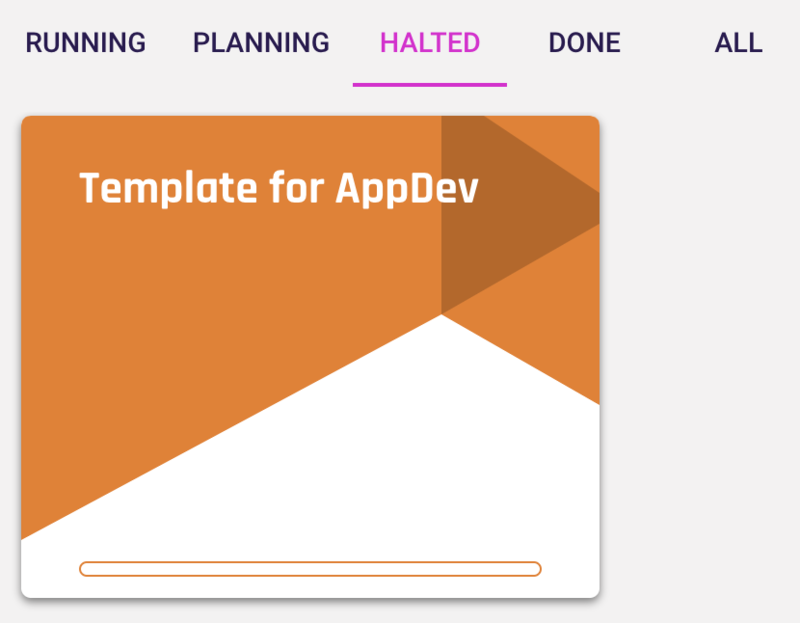 Here, you create sprints and move tasks from the backlog to the planned sprints. In that case, they'll move to Workflow once this step is finished. 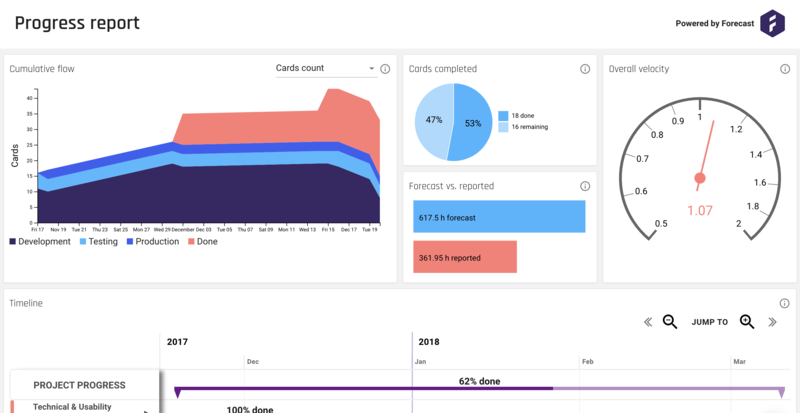 Now, if you go to Budget, you'll see that Forecast has already generated a live budget for your project based on the role, rate card, and forecasted estimate of each billable card in your project. You can use both the Scoping and Budget to develop a proposal for your client. That way you're both in-sync with what's within the Scope, and what the Cost and Price is expected to be. Timeline gives you a visual interactive view into your milestones within the project. You can see the progress of each milestone in the timeline, and expand each milestone to see the progress of tasks within each milestone. Move milestones and tasks around to change dates, and extend or shorten them to adjust the time frame, but remember these updates are live. Lets move on to Workflow. Workflow is visible to all team members in the project. Here, you can follow and manage the progress. Everybody can see what's in progress right now, what's coming up, and what is done already. You move tasks by dragging them up and down to prioritize, and left or right between phases and columns to showcase progress. By default you have three columns in your Workflow; to-do, in progress, and done. You can only have one to-do and one done column, but you can add as many "in progress" columns as you'd like. Again, you open tasks simply by clicking them. The last important tab in a project is the Overview. This tab is only visible to Managers and above, and is where you monitor and communicate the progress of the project. You can adjust start- and end dates, set the project stage, and communicate a project status - red, yellow, green with notes and logs on the status over time. Moving on to Time. Time is where you report time on projects and tasks. Using the two fields at the top, you select the project and task you want to track time on. Depending on your company policy, you can also just report time on the project level. If you want to comment on a time entry you can do so. Also, as a Manager and above you're able to view time registrations and notes for other team members using the dropdown menu at the top. If you wish, you can also report time directly from within an open task. Just find the task you've been working on, open the task, expand the Time entries tab at the right, and type in the number of hours you want to register. Scheduling is where you as a Manager or above is able to allocate people to projects. It has two views, the People view and the Projects view. These basically show the same thing, just from a flipped perspective. People allocated to projects, or projects allocated to people. Additionally, you're able to switch between seeing Allocations or Cards from the People view depending on how granular you want to go. 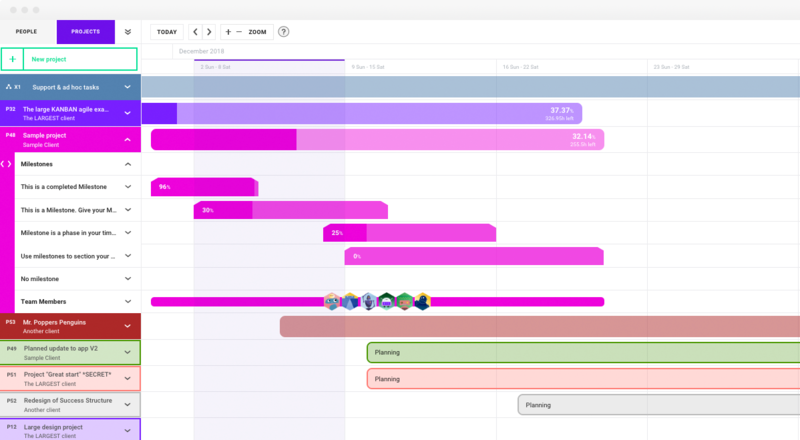 Doing proper pre-planning in scheduling is possible in two ways. 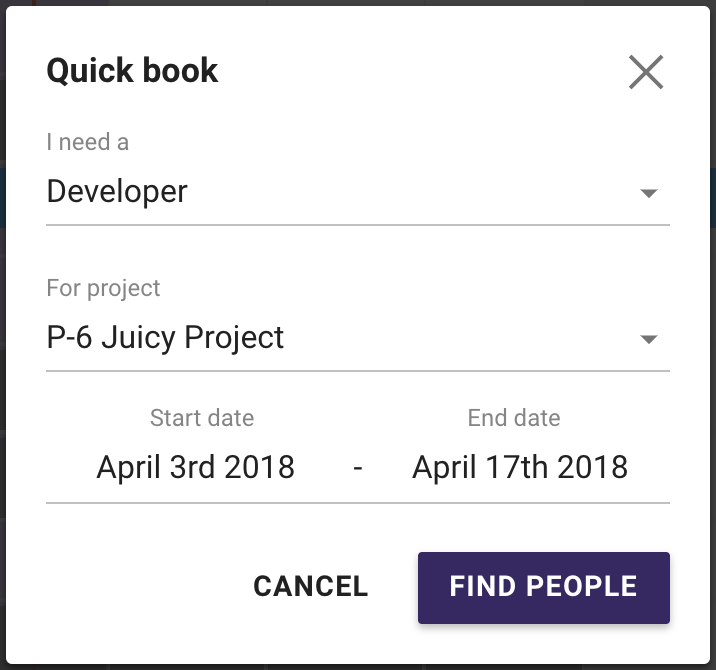 Either you use our "Quick Book"-feature at the top, which simply asks you what role you need, for which project you need it, and for which time span. The following window will then show people who are available to take on the work. Cross project planning and execution is possible by adding projects to a Connected Project. A connected project contains directly linked projects, and gives a connected overview of the progress. You find the option by clicking the universal Create button. By linking projects to a Connected Project, you also link the Workflow, Sprints and Team tabs. The Workflow across all projects will now have the same columns. 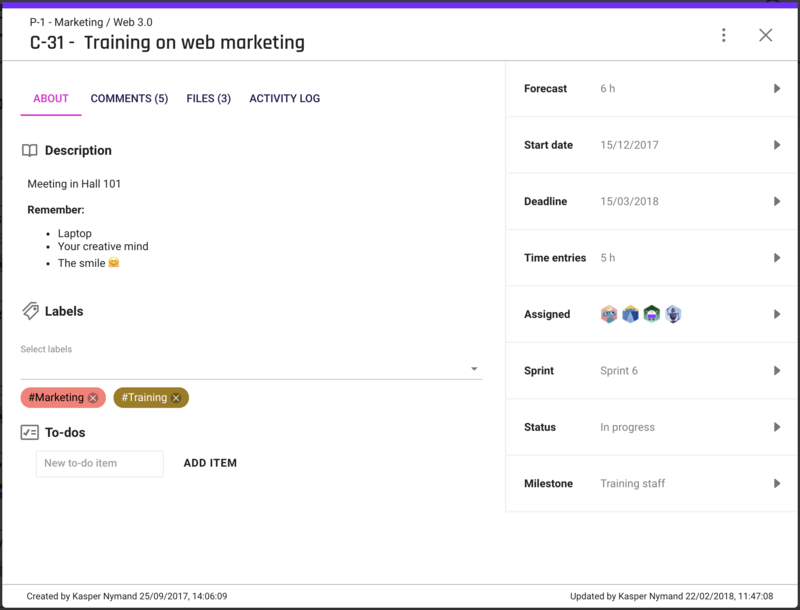 The Sprints tab will gather cards from across all the projects, and the Team tab will show all team members associated with any of the projects inside. The Overview in the connected project view will show a connected overview.